Dr. Paul Yovanoff completed his Ph.D. in Educational Psychology with an emphasis on psychometric theory, statistical decision analysis, and behavioral research methods. 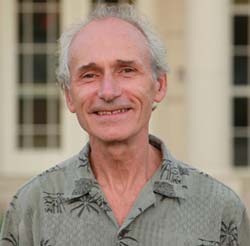 Prior to receiving his Ph.D. in 1992, Dr. Yovanoff was a special education teacher in New York State, following with a masters degree in special education. He has remained active in the field as a professor of educational research and measurement methodologies applied in special education contexts. In addition to numerous publications and conference presentations, Dr. Yovanoff consults routinely with government and research institutions. Current research interests include psychometric modeling of assessments for special populations, specification of optimal cut-scores for classification decisions, and culturally sensitive measurement and assessment for educational decisions.